I must have entered my comments on Giveaway posts a thousand times till now,no-make it a hundred,at least.Never in my wildest dreams did I think I would ever win any coz there have been times when even assured winning lucky draws saw me come back empty handed,yeah I am very lucky that way[not!]. Remember this post?I won a Giveaway hosted at Nags' blog and I even celebrated the occasion with a sweet,lol.As I sat wondering what I would do with the Waffle-maker and more importantly,when would I get it from US,pat came two mails.One was from Nags,who offered me a gift certificate and the other was from Neena,a very dear reader who keeps sending her recipe requests and feedback to me ever so often,who offered to bring along the prize when she came down to India.I was one happy girl!! I had absolutely no doubts as to what I would choose and straightaway opted for a Bundt pan set and a Microplaner.Suja,another dear friend who did the necessary help and now I can happily look for Bundt Cake recipes without worrying to substitute it for a ring mould!! 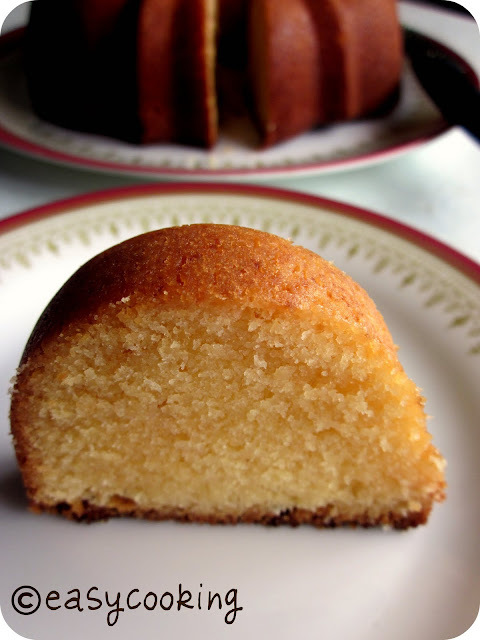 Without doubt I chose my first recipe--The Pound Cake,yes it was almost like a sweet revenge..ha,to whom you must be wondering..,to the recipe itself which always seemed to say it would be best baked in a Bundt pan! !But since this is a Thank you note to Nags,what better way than to choose a recipe from her blog? ?I am sure you have drooled over her Condensed Milk Pound Cake,I did too!! Sieve the flour and baking powder until well combined. You can also whisk it well in a bowl until combined, if you don't have a sieve. Beat butter and sugar together until soft and fluffy - 5 mins by hand, 2 mins by electric beater. Then add the condensed milk and repeat for the same time, until well combined. Whisk eggs in a bowl for 2 mins with a fork and set aside. Add the flour to the butter-sugar-condensed milk mixture and mix until just combined without beating too hard. Add the eggs, vanilla essence and salt and combine well again. Transfer to a greased cake tin or loaf pan and bake in a pre-heated oven at 180C/325F for 30-35 mins. Insert a toothpick at the center to test if the cake is done. Verdict-The cake was a super duper hit.I liked the way it sliced oh-so-beautifully,I would say that this is one of my perfect looking bakes so far.Thank you Nags!! Loved ur super duper milk pound cake. Enjoyed the write-up too. that look so wonderful Divya. I recently bought one bundt pan here in Bangalore but after the cake was made I was not very happy with the look. yours looks divine...so moist and crumbly...love condensed milk cake. between how did you mange to get such flat top? mine always fluff at the center. thats a beautiful recipe div.,,,,,i loved the first pic much.....looks like a new revolution to ur photography....very nice..
Wow..Congratulations Divya! Winning is always a great feeling. I recently won 2 of them. 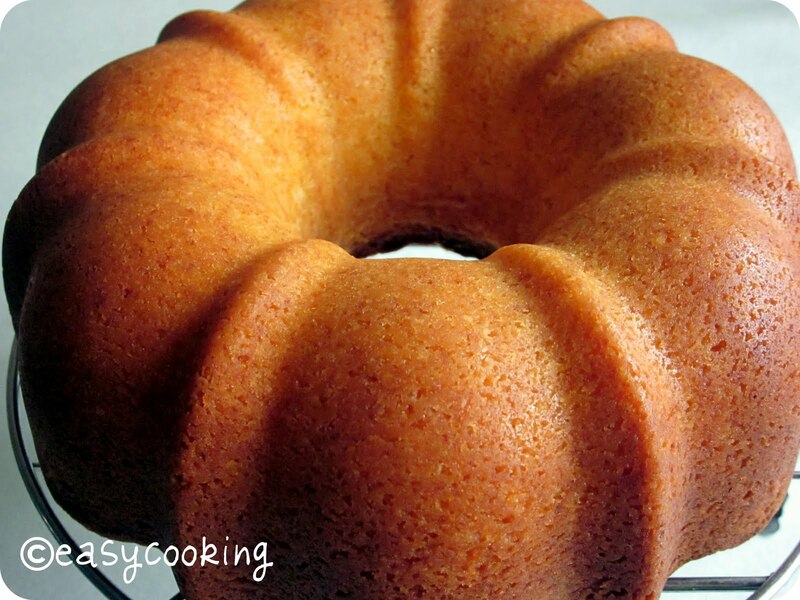 This pound cake looks so delicious!! yes..it looks so beautiful and now I am really drooling..
Wow, girl, that's definitely one perfect looking cake! Congratulations on your win and sure the pound cake with condensed milk made in a bundt pan looks awesome. Wow.. Am drooling over the cake.. Delicious..
That cake is truly a looker! Can't take my eyes off the cake... Looks so beautiful and perfectly baked cake. wow...it looks so moist.,....looks very tempting..
Seri..ously delicious looking cake Divya!! Beautful budn't cake. I love pound cakes and this just mooks so so moist and soft and yumm. Finally, you got your Bundt tin! Yeayy! makka tugele poorai recepies mast pasand jalle..
i'm throwing a small party for kids this weekend. i'm throwing a small party for kids this weekend...can u pls suggest some quick n easy recipes which i can rustle up for the same! Love the clicks divya...and yay for winning the giveaway. Lovely macro and i like the porousness of the cake itself...was it dense or light??? Can i just say WOW here.. lovely cake! Hi Divya, did you bake this in the IFB MW itself or an OTG oven? Lovely looking cake; baked to perfection. I have a tube pan 23 cm in diameter. What size is your bundt pan? Can I use the same recipe on my tube pan? I had never heard of condensed milk being used in baking pound cakes but saw one on a blog elsewhere and decided to do more "research". I like your directions so I will be following this recipe soon, need some favors for a party and thought I would bake the cakes in mini loaf pans. Maybe I'll add chocolate chips or dried cranberries! Wow very nice pound cake using condensed milk. But, would you have an idea to use anything in replacement of eggs? We have tried condensed milk in normal butter cake recipes instead of eggs, and in sometimes the egg re-placer does the trick! But, wondering what else we can use for making this pound cake without an egg? Since this recipe calls for just 2 eggs,you can try using an egg replacer. I am very new to cake baking, the first cake I tried yesterday was your orange loaf cake. Its was so good and my friends and family loved it. thanks so much for sharing.